What if you could rub shoulders and soak in knowledge from the social media pros you follow online? Imagine networking with 2,000 fellow marketers in beautiful San Diego, California. Now add the waterfront Manchester Grand Hyatt, an opening-night party on a naval aircraft carrier and 60 expert-led sessions. You can now bring this vision to reality. Social Media Examiner founder and CEO Mike Stelzner and his team have prepared the social media marketing conference of the year—Social Media Marketing World 2014! Running from Wednesday, March 26 through Friday, March 28, 2014 in San Diego, California, this in-person conference is designed to offer outstanding content infused with a truly social experience. Watch this quick video for an event overview. Here are 10 reasons you should attend Social Media Marketing World 2014. The most valuable and inspiring social media marketing content will be at your disposal at Social Media Marketing World. And the best part is there’s something for everyone! Whether you’re a social media rookie or a pro, you’ll have your choice of 60+ expert-led sessions to attend. Tracks will include social tactics, social strategy, community management and business development, and content marketing. You’ll leave incredibly energized and inspired by the amount of knowledge you’ll gain. The opening night party will be held on board a Naval aircraft carrier—the USS Midway—the world’s largest ship until 1955. You’ll enjoy mouth-watering food and stimulating conversation, experience giant hanger bays, view San Diego from the 4-acre flight deck, fly simulators and explore this massive ship. It’ll be a truly unforgettable evening! Social Media Examiner is bringing together over 75 of the world’s leading social media experts to be your instructors.How would you like to meet them face to face? Your presenters include the experts you’ve come to know and respect, such as Mari Smith, Jay Baer, Chris Brogan, Amy Porterfield, Nichole Kelly, Lee Odden and many more. You’ll also get to meet new instructors who have very interesting things to say. Click Play to hear what people said about our 2013 event. Hear what other attendees said here. When you attend Social Media Marketing World 2014, you’ll hear from experts from leading B2B and B2C brands around the country. Last year, speakers came from Sony Electronics, Petco, Walmart, Whole Foods, SAP, Citrix, Sharpie and more. If you want to hear what other large companies are doing, you can hear from industry panels at every session. Over 2000 marketers from around the globe will be attending Social Media Marketing World 2014. Last year, 1100 participants came from 30 countries including Australia, Canada, England, New Zealand, India, Philippines, Brazil, Peru, Mexico, France, Italy, China and many more. In keeping with tradition, Social Media Marketing World will return to ‘America’s Finest City.’ If you’ve never been to San Diego, prepare to be amazed—it is breathtaking! The city boasts wonderful weather all year round, 70 miles of pristine beaches and a dazzling array of world-class family attractions, which make it a truly unforgettable destination for you. When you get here, you’ll understand why Social Media Examiner chose San Diego as its headquarters. If you’re coming from the East Coast, this will be the perfect place to thaw out after a long, icy winter. The conference will be held at the bay-front Manchester Grand Hyatt, which is just 10 minutes from the airport. It’s located on the waterfront in scenic San Diego, California, adjacent to Seaport Village, the San Diego Convention Center and the historic Gaslamp Quarter. The hotel is gorgeous!If you book early, you’ll be able to stay in the same venue where the event is taking place (the hotel has capacity for all 2000 attendees). That means you’ll have plenty of chances to bump into your peers and speakers while you’re on your way to the pool, gym, spa or any of the other luxury amenities that are complimentary to hotel guests. Social Media Marketing World starts on Wednesday, March 26 and ends on Friday, March 28, 2014. Why not stay for the weekend and make a vacation out of your trip? If you’ve never been here before, you’re in for a treat! San Diego has some of the finest shopping and dining experiences you can imagine. You’ll have a variety of eateries, including gourmet restaurants, sports bars, coffee houses and quick ‘grab-and-go’ outlets. San Diego is calling you! For a limited time, you can save hundreds of dollars off the regular registration price. Click here to register. Are you pumped up about this conference? Don’t take our word for it. Come and experience the excitement and opportunities in store for you at Social Media Marketing World. 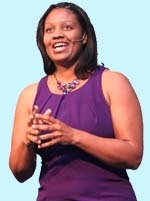 Dr. Laureen Wishom is an award-winning Growth * Success * Acceleration Expert, Author and Public Speaker, hailed as a 'Million Dollar Solutionist'. She is fast becoming the voice for high-achieving women entrepreneurs, executives, non-profit leaders and career professionals who want to 'Get on Their Dime', 'Claim Their Exclusive Space' and Take It to a Whole "NEW" Level™. She provides 'extreme coaching' to her clients on: 1) Brand Positioning, 2) Marketplace Visibility, 3) Business Growth, 4) Career Success, and 5) Revenue Acceleration. 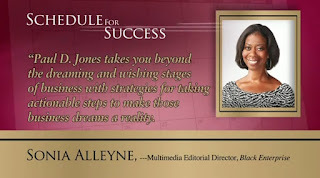 She consistently provides 'customized' masterful solutions that produce measurable results. She differentiates herself by doing different things, by doing things differently, by providing quality, experience and measurable solutions. She believes that mastering Growth, achieving Success and living in strategic Acceleration™ is part of success simplified. She is described as an icon, a one-of-a-kind 'sage archetype' who truly inspires when it comes to being fit, fine and fabulous in career, business and life. "Most people focus on what they are 'going through'; successful people focus on what they are 'going to'..."
If you are looking to improve your business's success factor, take note of these suggestions and apply as needed to achieve business growth. Develop a plan. You will never arrive at your destination if you start on a random path to an unknown place. You must have a Strategic Success Plan (Chapter 4 of my book) that defines your business intentions- both short- and long-term. 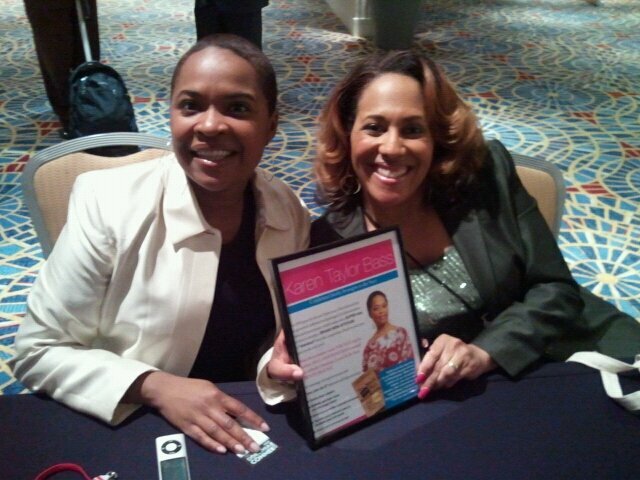 Karen Taylor Bass and Pam Perry, Branding Superstars! 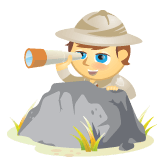 People are searching in Google - can they find you? And once they find you, do you know how to convert that connection into a customer? PR Coach Pam Perry is a social media strategist and helps authorpreneurs garner publicity and leverage online strategies. As a 20-year PR veteran, she is also the co-author of "Synergy Energy: How to Use the Power of Partnerships to Market Your Book, Grow Your Business and Brand Your Ministry." For a MP3 of "What Every Author Should Know," go to http://www.PamPerryPR.com/products. She's also the creator of the ChocolatePagesNetwork a social network for Christian authors and the Chocolate Pages Show at Blogtalkradio. 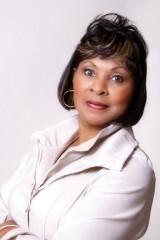 She offers free help at her blogsite: http://www.MinistryMarketingSolutions.com with her monthly Ezine and teleclasses. Need to Take a TIME OUT? Take this Stress Test & Grab Your Girlfriends and GET AWAY! One of the biggest news items this week has been the “stress test” several banks failed to pass. Designed to determine whether banks are financially healthy, the stress test is supposed to diagnose problems based on certain indicators of financial health. Some banks are disputing the results, of course. Kind of like some of us do as individuals. If you had to pass a stress test based on how you are living your life, would you pass? If your life is overextended, consider this post a wakeup call. Symptoms abound when we are too busy, but we have to recognize them as indicators that life is spiraling out of control. I know I’m too busy when my plants start wilt because I haven’t had time to water them, my car starts to get cluttered and I haven’t exercised in a week. What symptoms tell you it’s time to reclaim your schedule? Here are a few common ones to get you started, from my book How Did I Get So Busy? How many of these statements describe you? I regularly eat lunch at my desk. I work straight through lunch. My mail is piled up because I haven’t had time to open it. My friends complain I am too busy for them. I haven’t had a seven-day vacation in over a year. I’ve missed paying a bill in the last three months because I hadn’t had time to open it. I’ve run out of clothes, socks or other items because I didn’t have time to do the laundry. My fuel light came on because I hadn’t had time to fill it up. I can’t keep up with household chores. I don’t have enough quality time with my spouse and/or children. What is causing me the most stress? What could I do differently to eliminate or decrease that stress? Who could help? What activity or unnecessary effort could I drop for now? What’s missing from my life right now (i.e., enough rest, space, resources) that would enhance my well-being? What step could I take towards having more of that missing piece in my life? When it comes down to "image" in business, the first perception to deal with is not that of the customer, but your own. You know the type of image you enjoy seeing from others, and needless to say, customers also want excellence in your image, products and services. 1. Learn to see your business through your customers’ eyes. 2. Pay attention to details and show your best all the time. 3. Create a unique brand identity with a catchy phrase that is easily recognizable. 4. Be consistent with all marketing materials. 5.Make sure your business card has a great logo and is printed on quality card stock. 6. 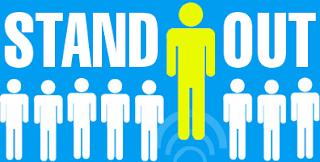 Make sure all of your marketing materials convey the same message. 7. Add your fax, e-mail, and website to your business card and stationery. 8.Have separate phone lines for faxing, credit card orders, and Internet usage. 9. Always work on improving your telephone and listening skills. 10.Be sure to send four-color postcards or direct mail pieces to potential customers. 11. Embrace the latest technology to get your company up to speed. 12.Build an effective website, be sure to keep it up to date and never stop improving it. 13. Don’t copy anyone else - learn to be unique and creative. 14.Hire a consultant to improve your company image, branding and marketing to take your company to the next level. 15. Network like a pro - join at least two-to-three professional organizations. 16. Help and support others, it will come back ten times over. The image or perception you create today can mean new business later. Also, first impressions are lasting impressions. Imagine that you only have one time to do it right. Advertising, marketing, public relations and various other communication techniques can very well be ineffective if necessary steps are not taken to bullet-proof your company’s image. 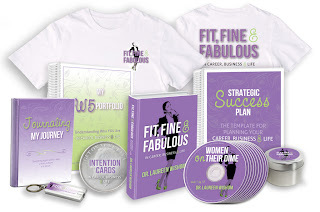 Launching 4/26 ==> Fit, Fine & Fabulous with over $2,000 worth of bonus gifts! Dr. Laureen Wishom is a contagious and ebullient person who has touched the lives of thousands through her powerful seminars and workshops. Dr. Laureen is known as an electrifying motivational and inspirational speaker and a pulsating writer, mentor, executive coach, trainer and strategist. 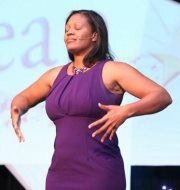 She is the Founder and CEO of Masterpiece Solutions, LLC business consulting at its finest. This Houston based practice with a satellite practice in Dallas, Texas specializes in Business Development, Setup and Growth, Strategic Planning, Marketing, Public Relations, Grant Writing, and Fund Development. 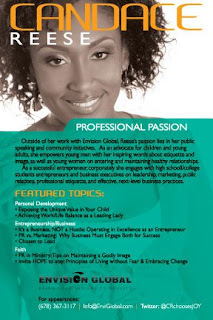 She has authored a series of how to business, marketing and grant writing books and CDs. Her articles have been featured in numerous magazines and newspapers. 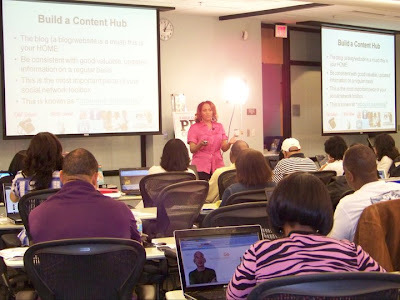 She has appeared on the TV 20 DayStar (KLTJ) and she has been a featured on KTSU (90.9 FM) business segments. Dr. Laureen holds a Bachelors degree in General Education, a Masters degree in Psychology/Sociology and a Ph.D. in Psychology/Christian Counseling. She is a commissioned lay Chaplain and a certified Hospice Volunteer. What would this world be like if more women held more wealth in their hands? And how much better would the world be if more women relied on their faith to not only grow wealth, but use it to bless others? I don’t know about you, but I’m noticing a shift. It’s wonderful to see money shift into the hands of those who are self-less, compassionate and real. As a faith-driven, spirit-led woman, God wants you to fully believe that making fabulous money is part of your faith-driven purpose. To prepare for this mission, we have to first shake out all the money drama that causes us pain and holds us back. If your faith is screaming for a better way to grow and expand your money, I invite you to join me for an exciting virtual summit taking place April 8-12, 2013. The host of the Victory Over Money Drama virtual summit Leesa Renee Hall, is bringing together bestselling authors, success coaches and international speakers (including me) to share these tactics with you. 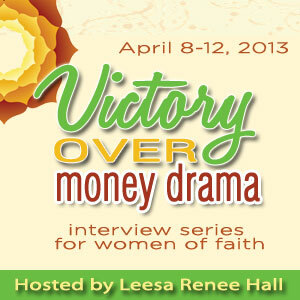 From April 8-12, 2013, we’ll share how to transform your relationship with money while putting God first. And Leesa is giving away a complimentary digital package just for taking the time to look at the details for the Victory Over Money Drama virtual summit page. be the guest/expert this Tuesday. Wouldn't it be great if you could just snap your fingers and instantly have a producer from a national TV show or writer from a major magazine decide to interview YOU - introducing you and your message to a huge nationwide audience? While getting big-time publicity isn't that easy, the truth is most people make it a lot harder for themselves than it needs to be. You can secure major media coverage much more quickly when you know how to put a few simple pieces together. To discover five specific shortcuts for landing national publicity, join my friend Steve Harrison and six special guests on Tuesday, March 26th at 7 pm Eastern (4 pm Pacific) for a free training teleseminar that will show you how to speed up the publicity process and grab the national spotlight. Who are Steve's guests? Well, that'll be a fun surprise for the call. But let me whet your appetite a little....so here goes. Surprise Guest #1: She booked guests for Oprah. She'll give you a producer's point of view about what made her say "no" and what made her say "yes." She'll also share what you can do to speed up the process. Surprise Guest #2 has learned how to speak in sound bites so well that she's landed coverage in the Wall St. Journal, Entrepreneur, Reader's Digest, Inc. and Reuters - all before she even finished her book! She'll tell you how she made herself attractive to the media by sharing her information in a memorable way. Surprise Guest #3 has booked guests for Anderson Cooper and many other national shows. She'll tell you how to increase your odds of getting booked so you can get more publicity faster. Surprise Guest #4 is an energetic woman who wanted to change people's lives. She wrote a book, did radio interviews, but could never get the national media interested. After years of frustration she finally found a way to land her first national TV coverage on ABC and she has since become a guest on Dr. Oz, Anderson Cooper 360, CNN, and even hosted her own special on Discovery Health. She'll share what you can do to accelerate your speed at getting your first or next big national break. Surprise Guest #5: This guy has a lot of competition in his field. He needed to find a way to stand out from all the other so-called "experts" out there. In fact, he didn't even have a book or product. But that didn't stop him from sitting across from Kelly Ripa for his first national TV appearance and he soon parlayed his national publicity into a $40,000 per month income stream. Surprise Guest #6 is a psychologist who helps women find lasting love. But no one had heard of him or his book until he figured out a way to land his first appearance on the Today show. He'll reveal something he was initially "clueless about" which later led to his first big publicity break. Since then he's become a regular on the Today show. Get wisdom, it's the main thing. Learn to love learning. to get on our weekly teleclasses! Pain births your goals. It's a catalyst. Dr. Mike Murdock's books changed my life, especially, "The Assignment." Do you know your assignment? Your brand will reflect your assignment/purpose. We will talk about this in the Branding Superstar University Classes, Dr.
Deana Murphy will go over how to Design your Future AWESOME! *How to maintain the rights to your book to make sure no one steals your ideas. *The pros and cons of self-publishing vs. signing a book deal with a traditional publisher to help you determine which route you should take. *The different costs associated with publishing your book and how you can publish it today for a fraction of what it cost 9 years ago due to advanced technology. *How to effectively market your book on a budget. *How you become an instant business owner when you self-publish your book and 3 things you must do now to legitimize your business and protect your personal assets. *2 ways you can author a book without your writing a single sentence. *How to publish an ebook and put it up for sale in less than 48 hours and how to determine its price. *What you must do now at no or low cost before your book is released to ensure its overall success. *How, once you have your cover and content you can have your book published for absolutely Free. *7 Secrets to Success in the Publishing World. *How building your brand and platform could land you a lucrative book deal. 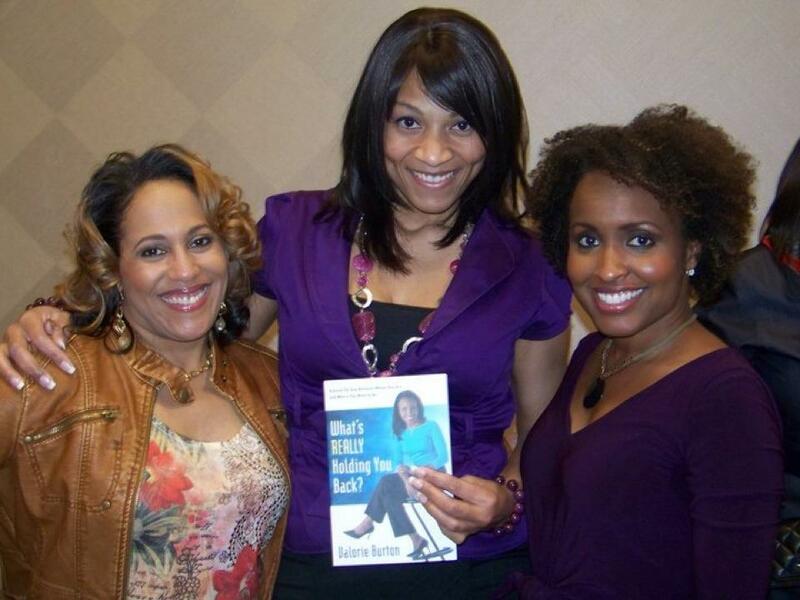 *How the publishing game has changed since 9 yrs ago and how you can still get in the game and win! 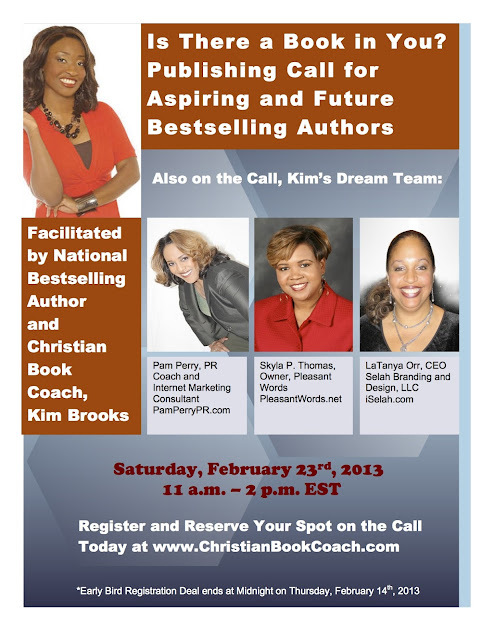 Register for this special coaching call on publishing today, take advantage of the early bird registration deal and reserve your spot before it’s too late and all the slots are filled. *You’re only allowed to register one phone number per registration. *There are no refunds for this event. The following are some Q&A tips and helpful links for aspiring authors. What do I do if I don’t have time to write the book? deadline as far as when you plan to have your book finished. yet to write any book at night because I mentally shut down after 9:00 p.m.
best writing time, plan when you will write, and work your plan. Help, I have writer’s block! like it, I pray before my fingers hit the keyboard, and I just go with the flow. Okay, so I’ve written my book, now what? to self publish, or pursue a publisher for a book deal. What does it mean to self-publish? It is a lot of work and it’s definitely an investment of time and money. What are some of the things I need in order to successfully self-publish? What does it mean to pursue a publisher? work, you won’t have to pay for anything except most marketing costs. (depending upon the terms of your contract). Blogging Markets the Message Better Than Anything Out There! Time to "get out there" and brand like a superstar online! BLOG. Brand. Be Authentic. Network. Blog it! Brand Like a Superstar! Have you ever dreamed of becoming rich and famous? Of course, everybody does, but not everyone have what it takes to be a movie star or a world famous supermodel. success sales is by getting targeted traffic in your website. for marketing? A CREATIVE blog! website and read your blogs. So, how can you sell your products/books? their side and you will be their friend. you won't have any problems at all. Blogging can bring you tons of PR if you do it right. and the book you are selling. get on the spot training and your questions answered! If you are an author who is about to publish your work, there are several types of publishing options that you can submit your manuscript to. But, know this. Publishing is not the hard part. Marketing the book so it sells is. You can write all day and all night but if you don't have audience for your book - it won't sell. Bottom line. So let me give you the quick run down on publishing a book once you have written it. book design program and finding a printer who can print short-run books. There are over a 1/2 million new books/ebooks every year competing for readers attention. You have to make your book stand out. You need a brand. 2. You have to be professional. A book is a business. Yes, it requires a business plan, a budget, a marketing plan, research - the whole nine. And you have to HIRE professionals. Professional editors, professional web designers, professional book layout designers, professional book cover designers, professional marketing consultants.You get the idea. If your book cover is whack or your website is whack - your book will have a very, very hard time selling, if at all. 3. You don't need an agent (yet) and you don't have to worry about copyrighting. Agents work on commission of sales. So, if you don't have a built-in audience to buy your book, agents generally are not interested in helping you do that. They are interested in making money - not making you a celebrity. And copyrights. Listen, in my 20 years doing this business, I have yet to see an author's book "stolen." No is looking to rip off an entire book. Besides, the moment you create a written work, it is automatically copyrighted under Common Law. Once your book is published, if you wish, you may send two copies to the Copyright Office along with Form TX and a fee to register or perfect your copyright. 4. Don't write alone. Come out of your writing cave. Build your audience for the book WHILE you're writing the book. Use your blog and social media to build excitement and anticipation (and an email list) for the book launch. Don't wait until two weeks before the book is out and start telling everyone you have a book coming. It won't do as well if you had a strategic plan in place to market the book at least six months before the pub date. Learn as much about marketing and branding as you can. Read Dan Poynter's books or my book, Synergy Energy. They're on Amazon.com. If you need coaching in this area, don't be afraid to ask for help. Join a critique group too, like the American Christian Writers or join our Author PR 2.0 BootCamp. 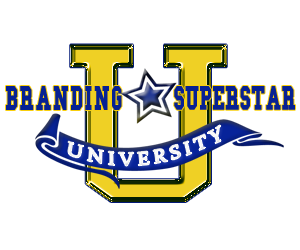 Branding Superstar University.We help you shine like a superstar. Teleclasses every Tuesday. 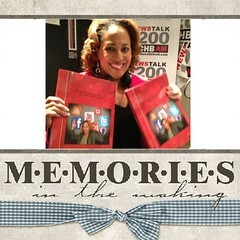 See www.PamPerryPR.com too and join www.ChocolatePagesNetwork.com! WHAT: Paul D. Jones, an award-winning author and a motivational speaker, travels the world teaching young entrepreneurs how to achieve success by inspiring them to act on their goals, believe in themselves and also schedule their lives so that they can move forward. Jones will visit Detroit and share his nuggets of wisdom. Some of the tenets that he speaks on include scheduling one’s life step-by-step to achieve success; his core values PSBRITE: Passion, Success, Belief, Respect, Integrity, Teamwork, and Excellence; and also the firm belief that money doesn’t make one rich, it’s the idea in the mind and the ability to focus on that idea that eventually makes one rich. 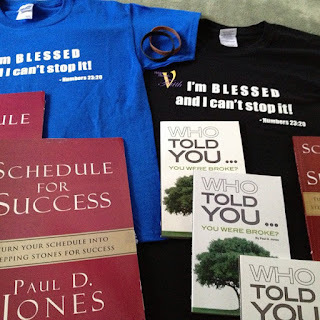 Paul D. Jones’ two books, ”Schedule for Success” and Who Told You . . .You Were Broke:” have changed the lives of several young people. Jones has set the goal of reaching thousands, if not millions, of young people so that they learn to focus on what’s important -- the internal idea and not fall for get-rich, easy ways to wealth and financial security. 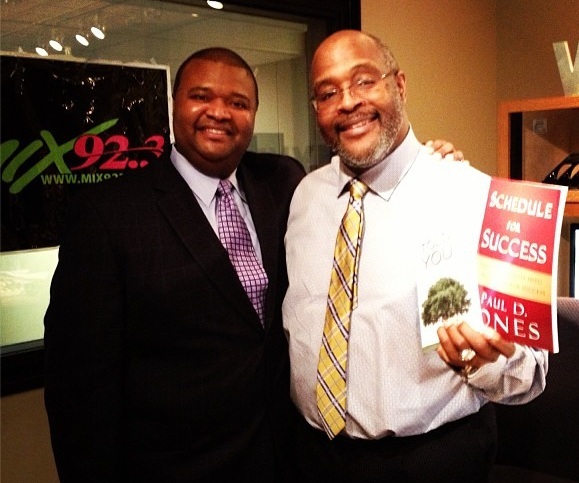 He has been featured in Black Enterprise magazine and many media outlets worldwide. WHEN: Wednesday, January 16, 2013 at 11 a.m.
P.S. 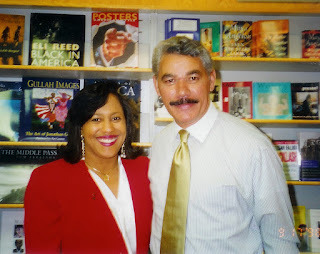 Also Hear him on WJLB, Sunday at 9a.m. And on TCT TV with Dorinda Clark Cole on Tuesday. Shine Bright Like a Diamond. Brand Like a Superstar! 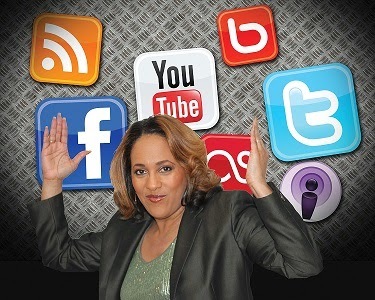 Go here and get your branding and social media questions answered on the spot with Pam Perry: Go here to sign up!